translate plus finished 2018 in style – we won several exciting tenders and signed new contracts, getting our business off to a great start for 2019. Since 2012 we have been providing our services to the multinational consumer goods company RB (Reckitt Benckiser). In 2015 we were appointed as RB’s lead global translation supplier and started working across various divisions worldwide. We are now happy to announce that RB have decided to reward us with their global translation contract once again, and look forward to further developing this long-standing cooperation. We were also selected as the preferred global language services provider to The Linde Group. The Linde Group is a multinational chemicals business specialising in industrial and medical gases as well as engineering services, across divisions such as BOC, AGA and Linde. Already having worked with AGA, the Group concluded that we are the best company in the market to meet their requirements on a more global level. translate plus has also seen recent strong growth in the automotive sector. 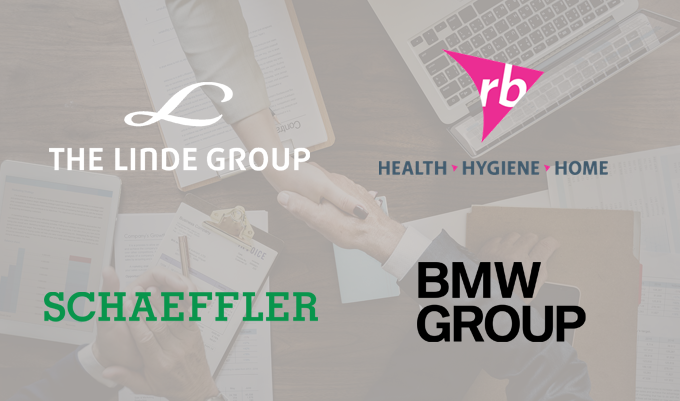 We are now amongst BMW’s and Schaeffler Group’s preferred global language suppliers, supporting their Technical and Legal & Compliance teams respectively with all translation requests. BMW and Schaeffler are some of Germany’s most prominent automotive businesses whose ground-breaking products and innovative technology have significantly shaped the industry globally. Over the next few years translate plus will also support Electrify America and Electrify Canada with the translation of website and app content for the North American market. Electrify America is a subsidiary of Volkswagen Group of America and will invest $2 billion in ZEV infrastructure, access and education programmes in the United States. “2019 couldn’t have been off to a better start and we would like to thank all of our new and old clients for their continued trust in translate plus.” - Svenja Müller, Sales & Marketing Director at translate plus. To keep up to date with our latest news and technology announcements, please visit our website.